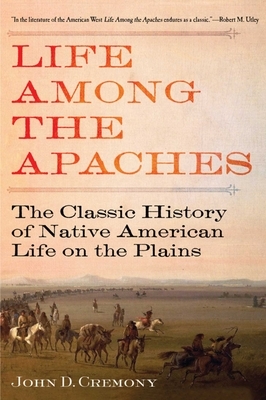 One of the original seventeenth-century historical accounts of the Apaches and the southwestern American Indians. John C. Cremony’s first encounter with the Indians of the Southwest occurred in the early 1850s, when he accompanied John R. Bartlett’s boundary commission surveying the United StatesMexican border. Some ten years later, as an officer of the California Volunteers, he renewed his acquaintance, particularly with the Apaches, whom he came to know as few white Americans before him had. Cremony was the first white man to become fluent in the Apache language, and he published the first dictionary of their language as a tool for the US Army. Cremony’s account of his experiences, published in 1868, quickly became, and remains today, an indispensable source on Apache beliefs, tribal life, and fighting tactics. Although its original purpose was to induce more effective military suppression of the Apaches, it has all the fast-paced action and excitement of a novel and the authenticity of an ethnographic and historical document. Life Among the Apaches is unrivaled in its attention to detail, and Cremony’s firsthand accounts of the intricacies of daily life for the Apaches make it both an essential text on Native American culture and a truly important anthropological work. John C. Cremony was an American newspaperman who also served as a lieutenant in the Regiment California Volunteer Cavalry. He fought in the Mexican-American War, the American Civil War, and the Apache Wars. He died in 1872 in San Francisco, California.